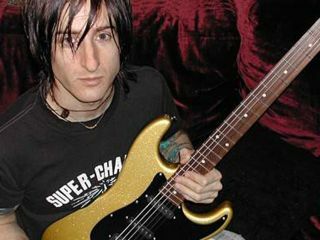 "OK, it seems that I am being misquoted once again," Fortus said in a statement. "I never said that GN'R would be playing St. Louis, nor did I say that we will be doing free shows or that we are starting a two-year tour in March! Selective hearing. Never said it." Fortus' original comments about GN'R hitting the road supposedly came as part of an interview with TheTelegraph.com to promote his appearance in St. Louis last Monday night with Pale Divine, a locally popular act, of which he was a founding member. We must say, the prospect of Axl Rose getting whatever configuration that is currently Guns N' Roses ready to tour by March had us dubious, let alone the thought of the band staying on the road for two years. After all, a two-year jaunt would require a hit record.